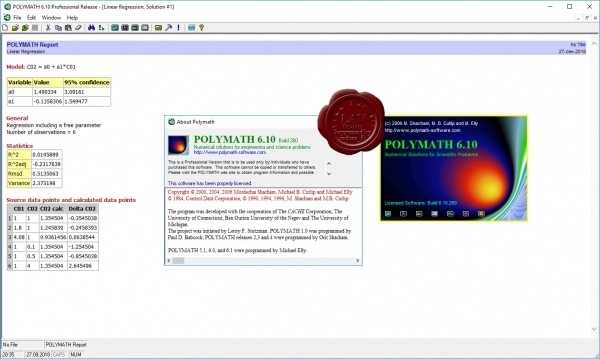 Polymath is a proven computational system that has been specifically created for professional use. The various Polymath programs allow the user to apply effective numerical analysis techniques during interactive problem solving on personal computers. Results are presented graphically for easy understanding and for incorporation into papers and reports. Engineers, mathematicians, scientists, students, or anyone with a need to solve problems will appreciate the efficiency and speed of problem solution.